The AFR-FI Air/Fuel Ratio Controller is your best value for fuel injected, lean-burn natural gas engines. The microprocessor-based AFR-FI gives better performance through fuel efficiency, automated compliance, and lower maintenance with easy installation, automatic operation, and state-of-the-art technology. 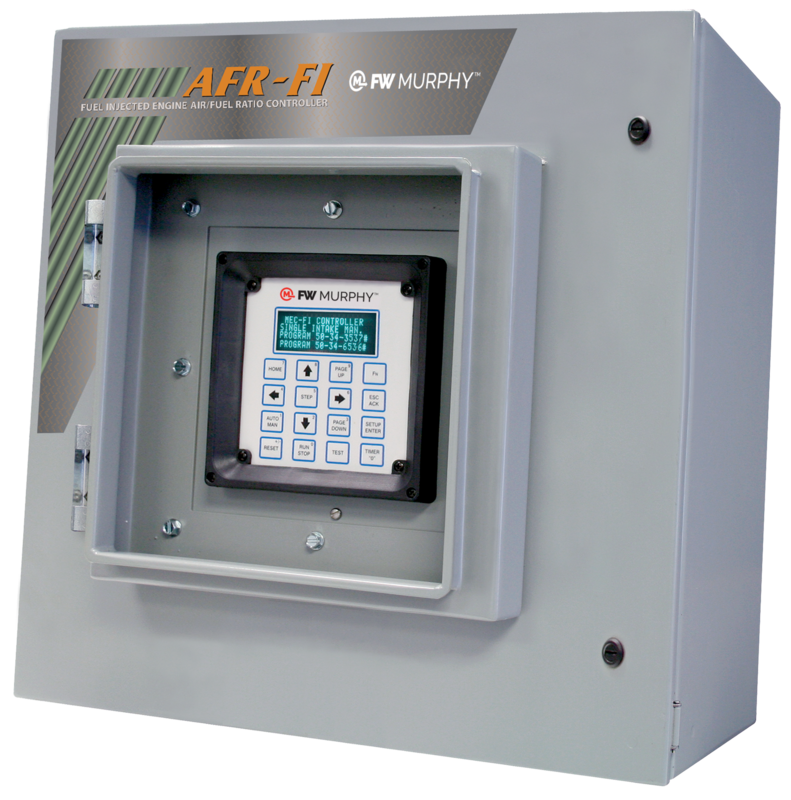 The AFR-FI is a “smart system” that automatically optimizes the lean-burn air/fuel mix to insure top performance and fuel efficiency without the use of traditional pneumatics. The automated compliance maintains tight control of the lean-burn air/fuel mix with computer speed and precision. In addition, the AFR-FI delivers optimized engine operation and stays alert with 26 alarms and shutdowns resulting in lower maintenance. Engine monitoring includes fuel flow and fuel pressure, intake manifold temperature, exhaust temperature and air manifold pressure. 16-Key PadFor set-point entry, alarm acknowledgement, start, stop, reset, etc. TC Break – Air Manifold Temp.